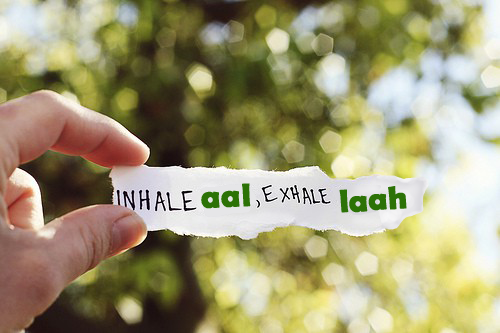 In every inhale you inwardly and silently say: "aaal"
And in every exhale you inwardly and silently say: "laaa"
The expiring of breath will make laaa into laaah as if you negate (all other than the One) and feel relieved and as if saying "ah" at the end. So 'laaa' becomes 'laah'. 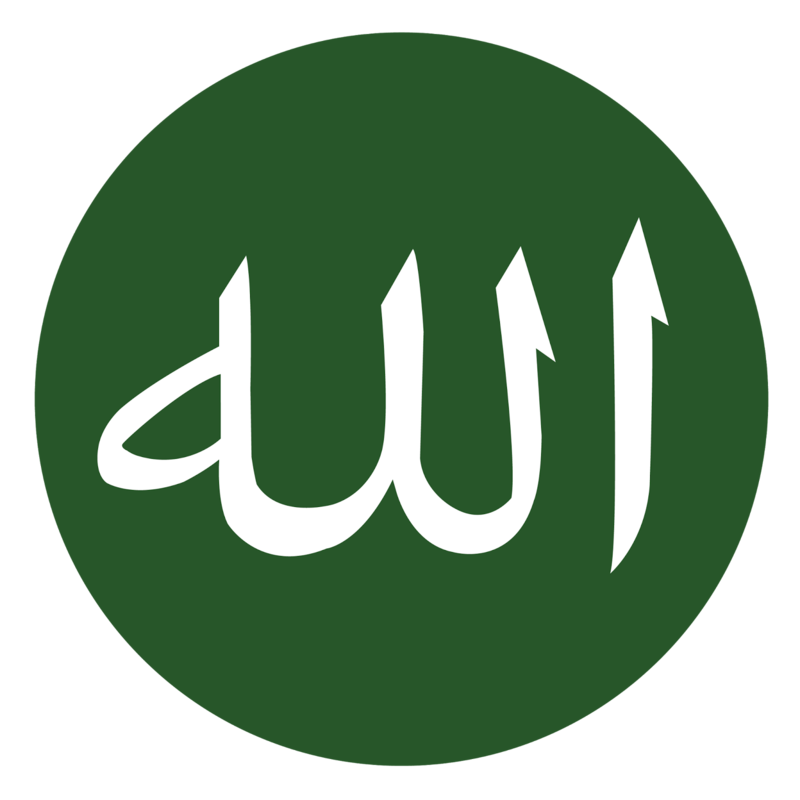 So a full breath completes as "Aallah"
You dont make any audible sound but like the cosmic background sound you pay attention to the fact that your in-breath and out-breath is making the remembrance of Allah on its own. This is the sound of solitude. "La" meaning "No, the Great Void" or "Nothingness"
Sat - I am the being which received its beingness from the Only Being. Inna lillahi wa inna ilayhir rajiun, indeed we belong to the Only Being and to That we return, my beingness is inseparable from the Only Being, God breathed His Soul in me to fill my being, I am that precious being participating in the Only Being ~ Ahad, the Indivisibly One. I am that drop of that Ocean. Chit - I am consciousness, I am awake. I am conscious of my consciousness, I am conscious of my body, every part of it.. Here you scan all apart of your body with body awareness, from your foot moving upwards up to your head including tongue, eyes, ears etc. You pay attention to the left side of your chest where physical heart is and just below it and become aware of your spiritual heart. I am awake, fully awakened consciousness. The Heart is ever awake and never sleeps nor slumber over takes it. As moments passes you become more and more awake, more and more aware, conscious. 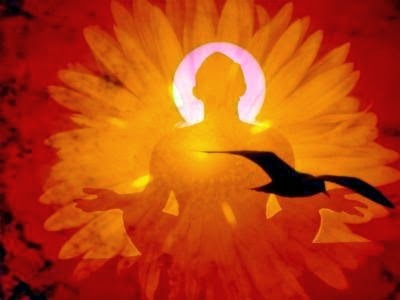 Ananda - I am bliss, endless joy. In my existence God finds His joy and bliss. All my cell brims with joy, all my being is filled with bliss, so much that my joy over flows and fills the entire earth and its sky and spill over to the cosmos and yet my joy knows no bounds. I am that bliss hidden within my soul just like how unthinkable power is hidden within the tiniest atom's core. I am that pure joy. Here you inwardly experience the joy and ease which is apparent to you such as the joy of health, joy of freedom of thought and movement, the joy of enjoying this moment, the joy of life.. You smile consciously and hold that smile with the feeling of joy... Then say inwardly that you are that pure joy, you are ananda. You are created to retain and return to the original Paradisal state birthright to every human being.